This tyre benefits from Dunlop Touch Technology, which gives a heightened degree of road feedback. The result is a thoroughly responsive and more enjoyable driving experience. 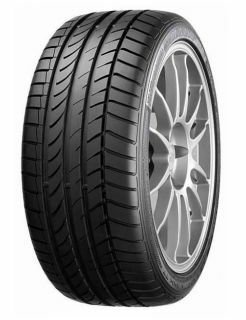 The Dual Silica compound included in this tyre, delivers a high level of grip and braking ability, in both wet and dry conditions. The compound is also long wearing, which means more miles. Deep and wide grooves in the tyre tread pattern, means water is rapidly and efficiently ejected. This helps drivers to maintain optimal control in extremely wet weather.